TUF offers gardening classes that will help you improve your garden, learn new skills, and problem-solve gardening challenges. Classes may be taken individually for $20 each or in savings packages of 3. Complete descriptions and to register for classes click here. The Pekins hatched in our incubator but the Cayugas were hatched by our Silkie hens. The ducklings love their moms and follow them everywhere. Come visit the Pekins in the Gomper’s Greenhouse during our Annual Plant Sale today and tomorrow during Plant, Eat & Get Local event. March was filled with more births! We had 6 Lincoln lambs born, which is a record for us. All of our moms delivered unassisted a total of 4 girls (ewes) and 2 boys. One of the ewes was born with weak back legs. She experienced difficulty standing on her own. We assisted her with some tape on the back legs and with in 24 hours she was better. You would never know which one she is if you saw her now. 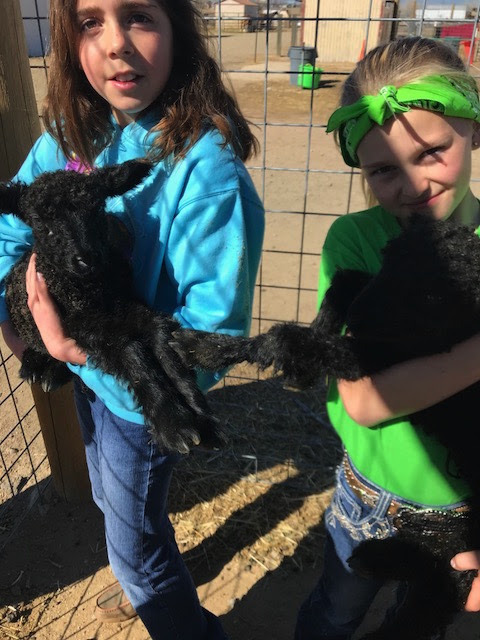 4-H sheep and goats spent the month helping with the vaccination and care of the new lambs. April is the beginning of the market animal project. We have 4 kids raising lambs and 7 kids raising goats. These members as well at their families take the responsibility of feeding the animals as well as all the care. It’s a project that requires teamwork to be successful. Join us in the chicken pen with our poultry and rabbit experts. Learn chicken and rabbit facts, pet our feathered and furry friends, feed the roosters and hunt for chocolate filled Easter eggs in the Children’s Garden (limit of 4 eggs per child, bring own basket). Limited supply of real eggs $6 and $4/dozen. If you have not visited the farm in 2018 or are not a current member, we will need you to fill out a waiver and release form upon arrival. You may download, print, and fill out the form ahead of time to speed up your entry.